Matthew Broderick is obviously most famous for his starring role in the hit comedy film Ferris Bueller’s Day Off. However, he is a lot more than that one role. 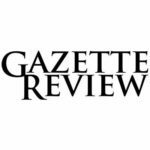 From voice acting to stage acting, this popular 1980’s entertainer has worked very diligently in entertainment following that one major success. You may be familiar with his work voicing adult Simba in the Lion King movies. Even that was a long time ago, though. What has Matthew Broderick been doing more recently? In this article, I’m going to be discussing how Broderick was able to become such a hit in Hollywood, while also making sure to address where he has taken his career more recently. Without further ado, let’s learn a little bit more about this guy. Matthew Broderick was born in March of 1962 in Manhattan, New York. His parents were both in entertainment, with his mother being an actress and playwright and with his father being an actor. Apparently determined to follow in their footsteps, Broderick went to high school at Walden School. Walden School doesn’t exist anymore, but it used to be a private school in Manhattan that was well-known for its excellent drama program. Like many other aspiring young actors, Matthew turned to the stage to help springboard his career. His first role was in a production of On Valentine’s Day, where he was performing alongside his father, James Broderick. Matthew’s breakout role didn’t come until 1981, when he held a supporting role in the play Torch Song Trilogy. In Torch Song Trilogy, he played the character David, a homosexual male model. Although this was an Off-Broadway production, it still helped to attract a lot of attention towards this promising young talent. In 1983, Broderick saw another major stage role in Brighton Beach Memoirs, where he performed as star. This was Matthew’s first stint on Broadway, but it definitely wouldn’t be his last. Due to his exemplary performance in the role, Matthew ended up winning a Tony Award for Best Featured Actor in a Play. This is obviously no accomplishment to sneeze at. During that same year, he broke out as a film actor due to his work in the movie WarGame. He had a fairly significant role in the movie Max Dugan Returns, but it was nowhere near as popular as the box office hit WarGames. Broderick starred in the science fiction flick, which was successful both commercially and critically. Thanks to his work in this movie, he received a nomination for a Saturn Award for Best Actor. Considering his young age at the time, this was a major honor. Broderick was able to reprise the role of Eugene Jerome from Brighton Beach Memoirs in the next installation of the production’s series, Biloxi Blues. Although he did not win any awards for this performance, he still received acclaim. It’s worth noting that, although Eugene was the main character of Brighton Beach Memoirs, he was not the main character in Biloxi Blues. This play would go on to win a Tony Award for Best Play. That part was in 1985, and during that year Matthew appeared in a made-for-tv movie called Master Harold…and the Boys. Although television acting has never really been a thing that Matthew Broderick is known for, his work in this movie received rave reviews, winning him a CableACE Award for ACtor in a Theatrical or Drama Special. It may seem like Matthew is flying high right now, but he would only see his stardom go through the roof in the years to come. 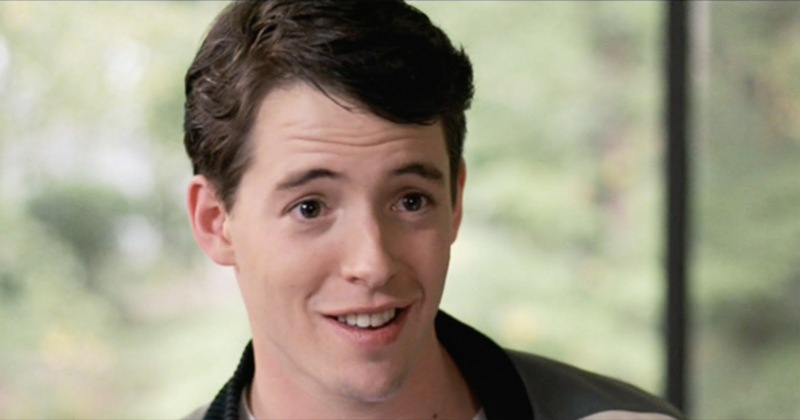 In 1986, Matthew Broderick won a role that would prove to be his most iconic. He was to star in the film Ferris Bueller’s Day Off, where he would play the titular character. If you’ve never seen the movie, somehow, the premise is simple. Ferris Bueller wants to take a day off from school. The wild shenanigans that entail during his day off, however, are hilarious and unbelievable. The movie was a commercial and critical success, making over $70 million at box office over a $5.8 million budget. It was a movie that pretty much everyone saw back in 1986, and it was especially popular among teenagers. Matthew was praised for his humorous, charming performance. His work in the movie was so stellar that he ended up receiving a nomination for a Golden Globe Award for Best Actor in a Motion Picture Musical or Comedy. Although Ferris Bueller’s Day Off was a massive success, Broderick wasn’t content to be known for one role for the rest of his life. In the years to follow, he would continue to see success. 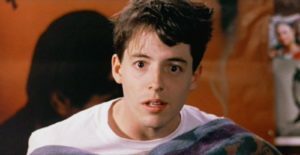 He took a break from the stage following Ferris Bueller’s Day Off, opting to remain on the silver screen for a little while longer. In 1988, he worked alongside Christopher Walken in the movie adaptation of Biloxi Blues, where he played his standard character of Eugene Morris Jerome. In that same year, he appeared in the movie Torch Song Trilogy, which was also based off of the play. Although Matthew played David during the show’s run, he played Alan in the film. 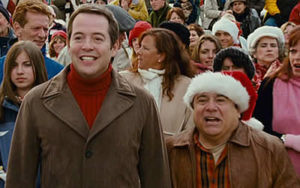 In the years to come, Broderick would appear in movies like Family Business, Out on a Limb, Glory, and The Freshman. He would not see his next major role until 1994, when he tried his hand at professional voice acting. He voiced the character of Adult Simba in the hit animated movie The Lion King. Although he probably isn’t as well known for The Lion King as he is known for some of his other projects, it was still a highly significant role for Matthew. He would reprise the voice role of Simba in future The Lion King movies, including The Lion King II: Simba’s Pride, and The Lion King 1 1/2. Broderick returned to the stage by working on the hit musical How to Succeed in Business Without Really Trying. His outstanding performance in this production inevitably earned him a Tony Award for Best Leading Actor in a Musical. He would be nominated for this award again in 2001, when he held a lead role in The Producers. During the 2000’s, Broderick appeared in numerous films, either as a person or as a voice. His most notable roles during this time were in The Producers, Deck the Halls, Bee Movie, The Tale of Despereaux, The Stepford Wives, and Strangers with Candy. In more recent years, Broderick has been keeping himself busy, as well. In 2016, he appeared in the critically acclaimed film Manchester by the Sea. He had a cameo appearance in the animated series Adventure Time. On stage, he starred in an Off-Broadway revival of the play Shining City. Although he may not be as popular in the mainstream eye as he was a couple of decades ago, he is still a very prominent part of this world’s entertainment industry. He has just become a little bit pickier about what projects he takes part in. 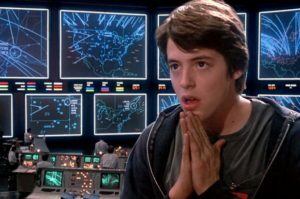 Does Matthew Broderick have any projects lined up right now, though? What does he plan on doing this year, in 2017? 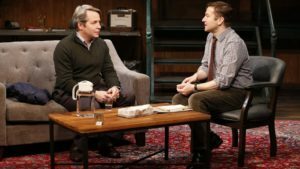 A recent picture of Matthew Broderick in 2016, appearing in the Off-Broadway production of Shining City. Currently, Matthew has a couple of projects that are slated to release in 2017. First of all, he is going to be the narrator in the documentary The Gettysburg Address. Broderick has spoken in a documentary before, in the movie Skum Rocks!. However, this is the first time that he has taken this kind of role in a documentary about such a serious subject, so that’s an interesting place that his career is going right now. He is also set to appear in the comedy-drama film Look Away, which also features the talents of Chloe Sevigny and Aidan Turner. Like I said before, you may not hear about him quite as often as you did during his “peak”, but Matthew Broderick is still working on plenty of different projects throughout entertainment.